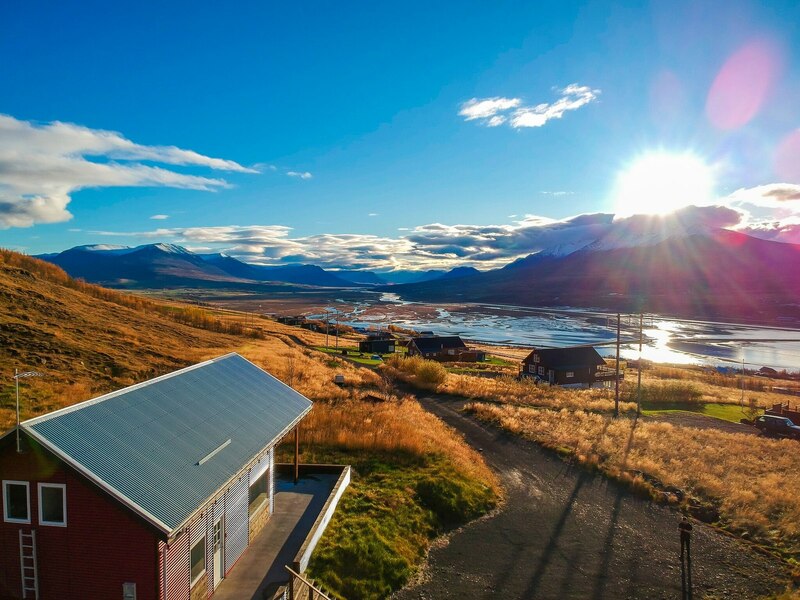 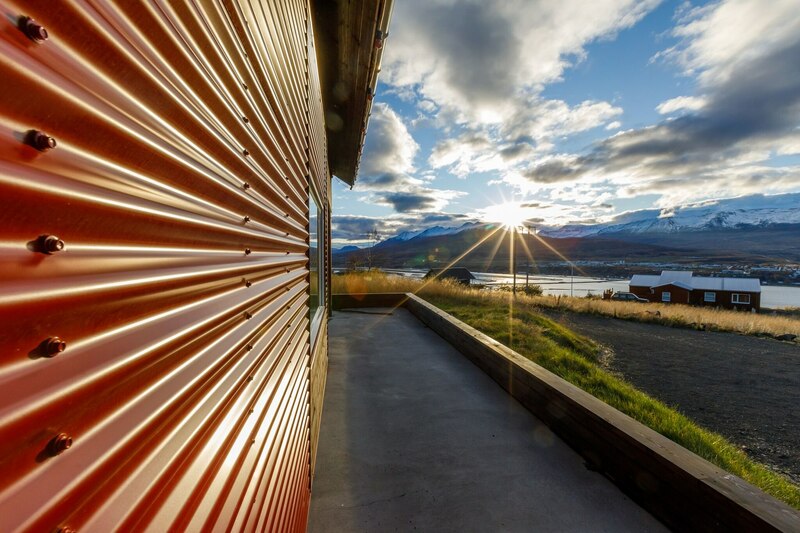 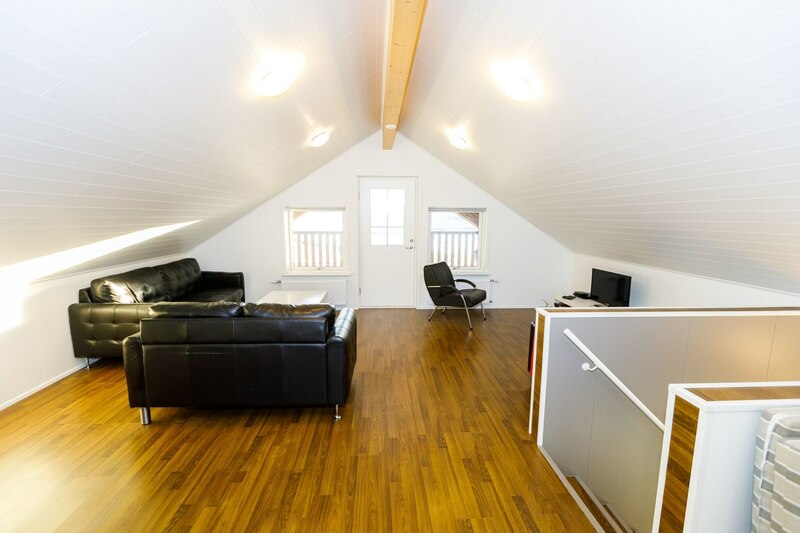 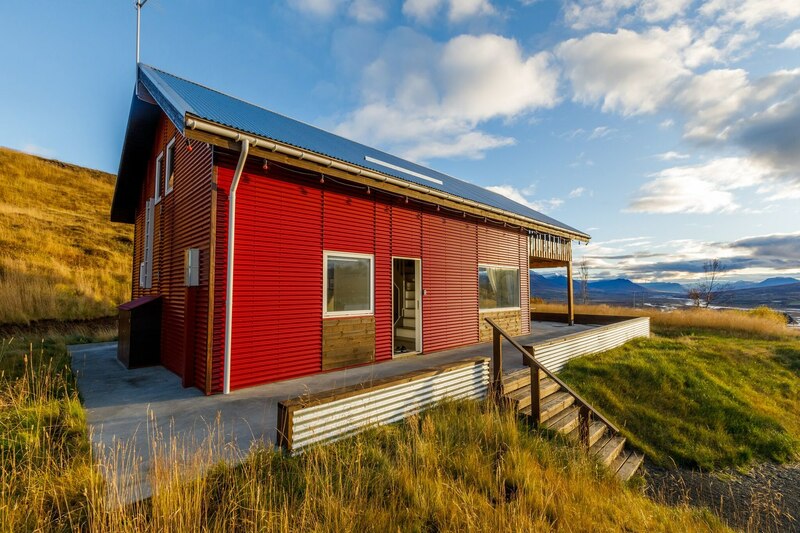 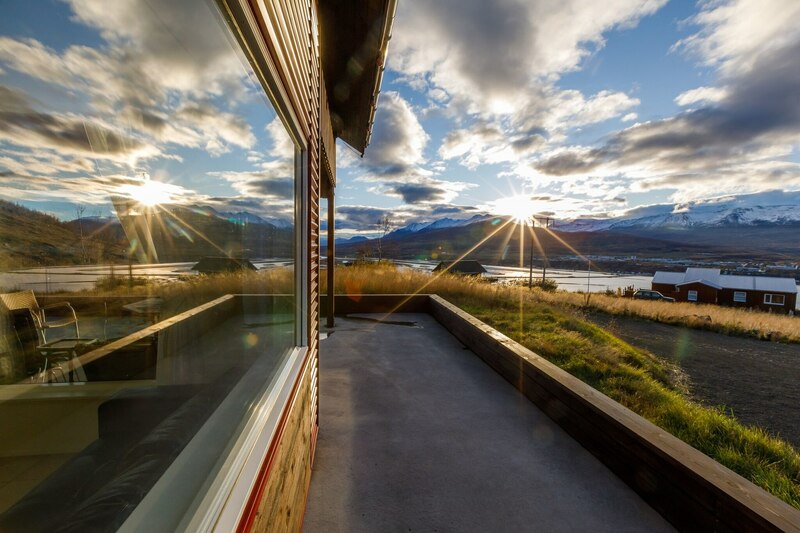 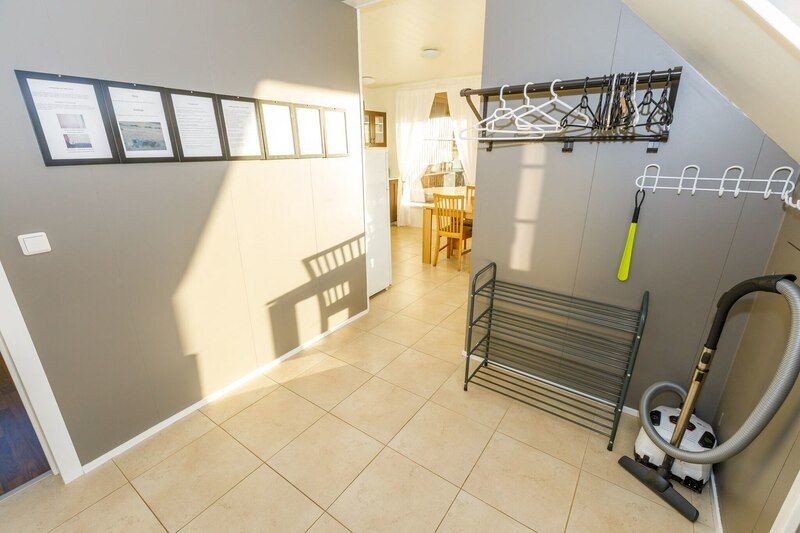 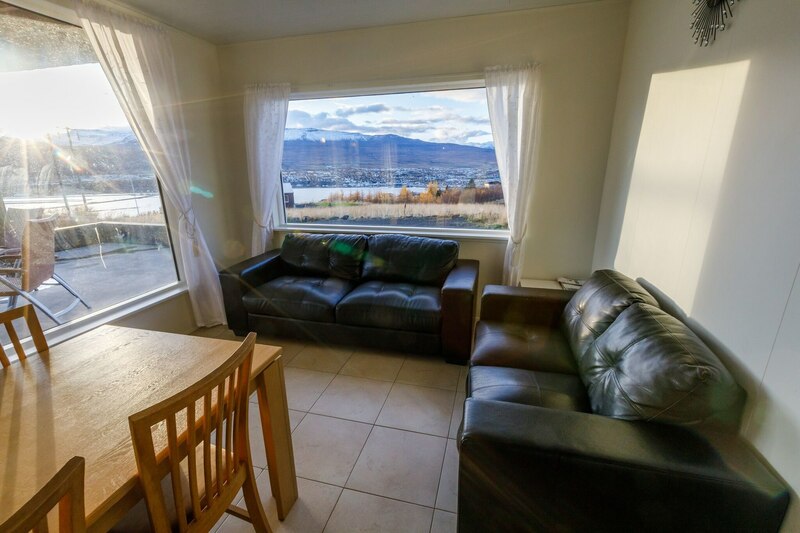 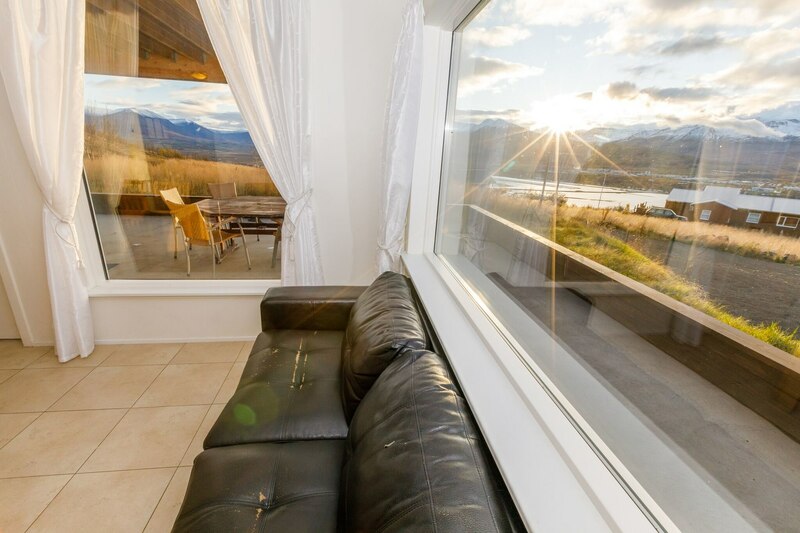 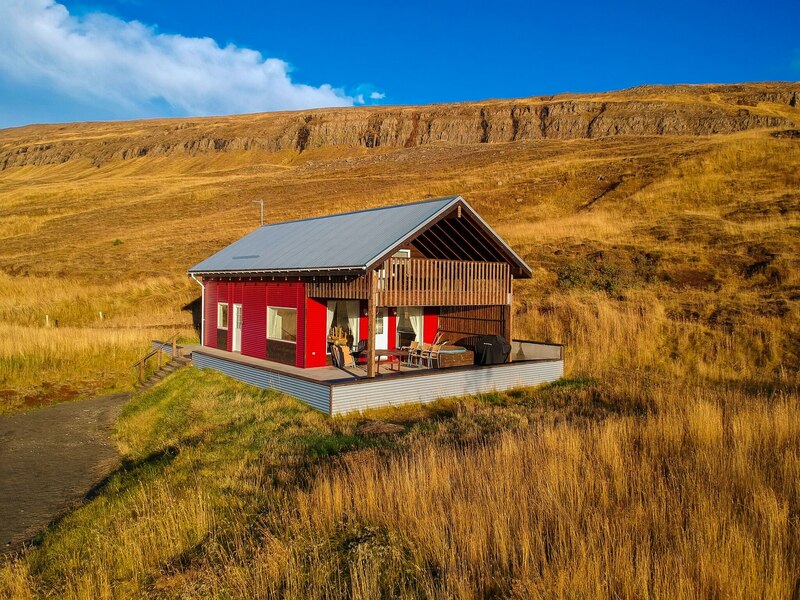 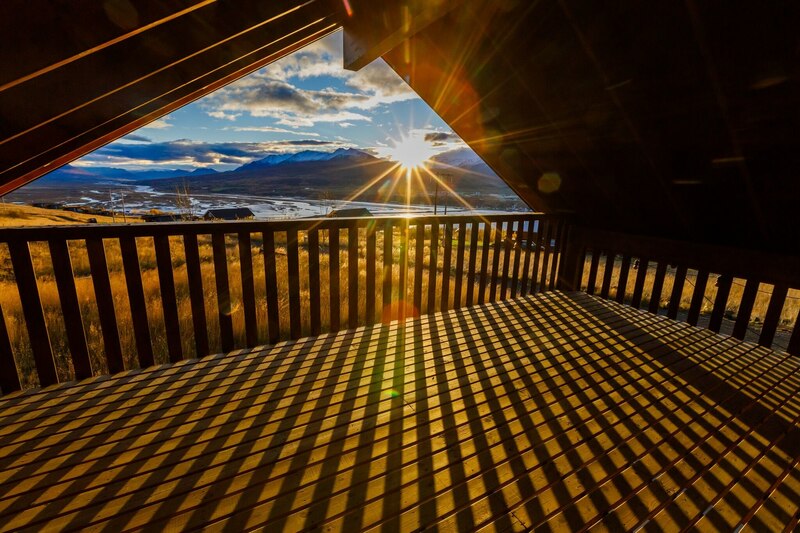 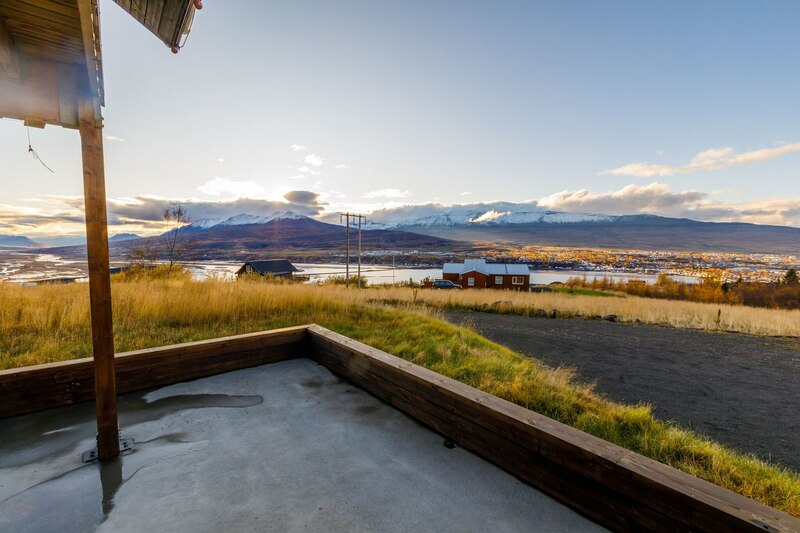 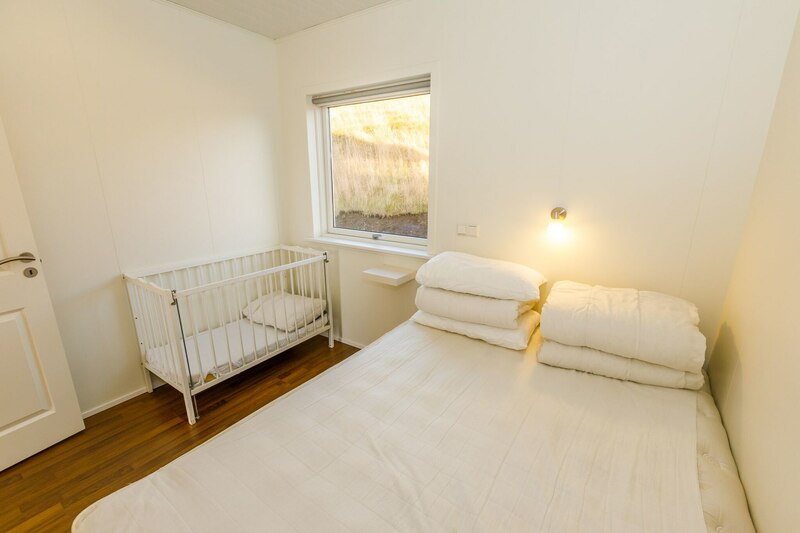 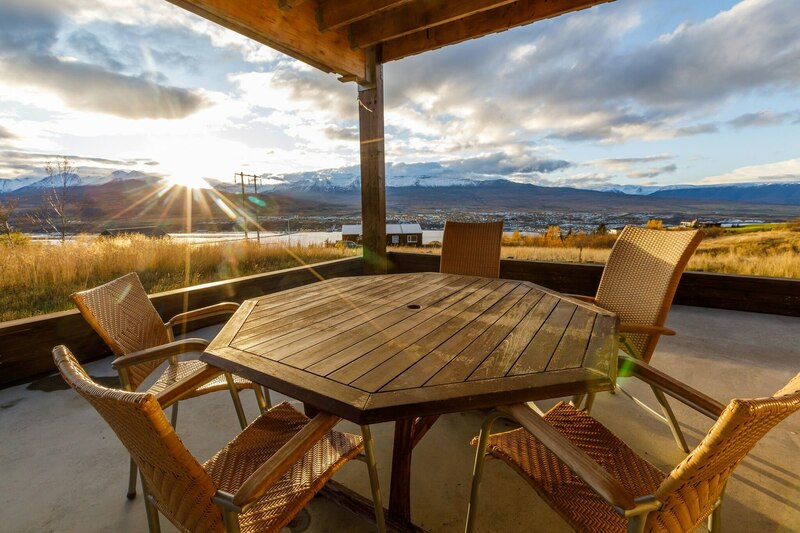 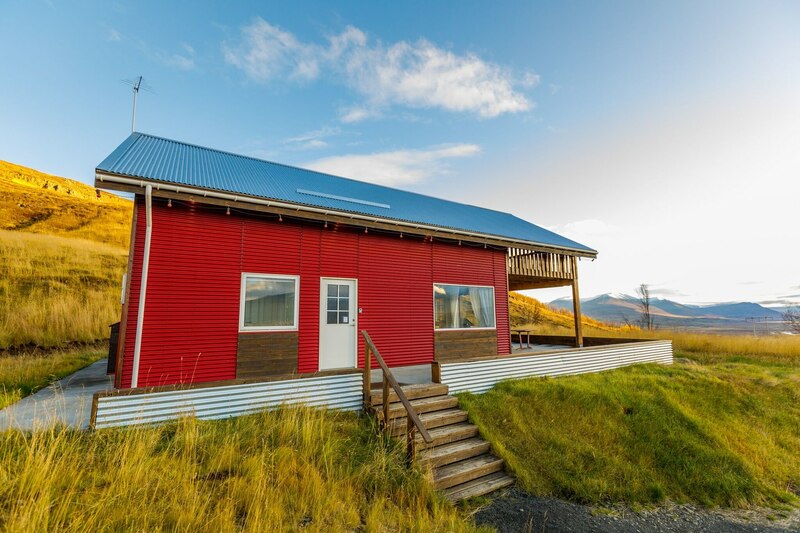 The Hall is a 5-room, 120 sqm summer house with a beautiful view of Akureyri. 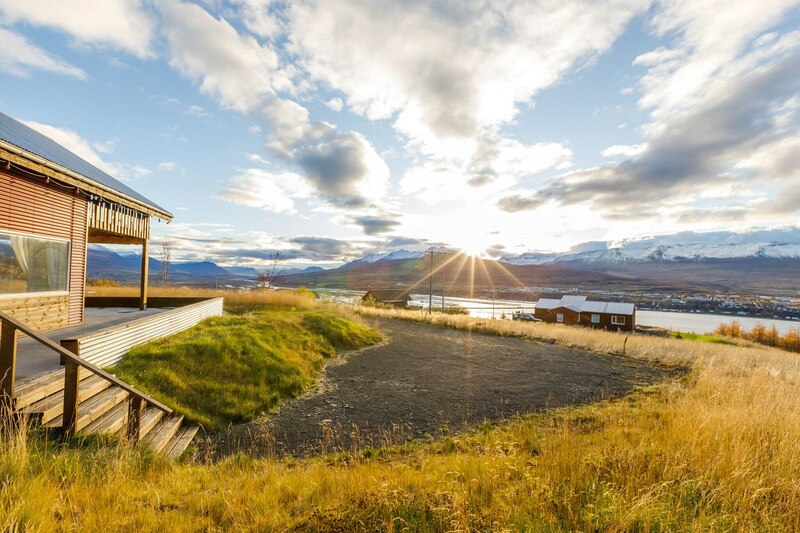 The Hall is located in Veigahall 6, which is in the same district as Vaðlaborgir, about 5 km east of Akureyri. 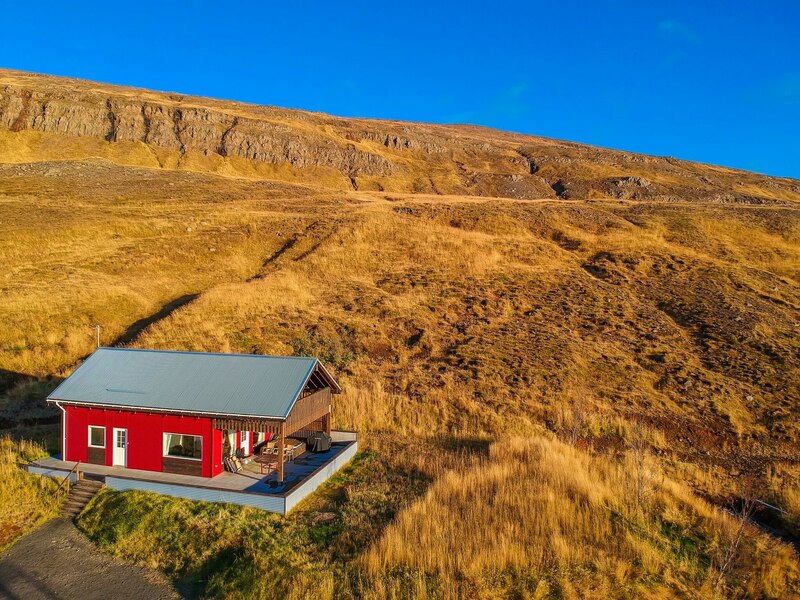 The house is on two floors. 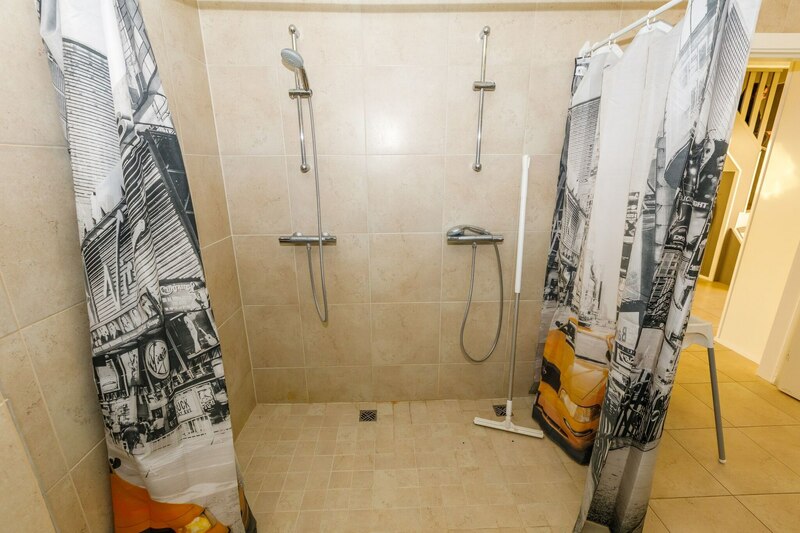 On the lower floor there is a bathroom with shower, two double bedrooms and one babe room and a kitchen and living room in open space. 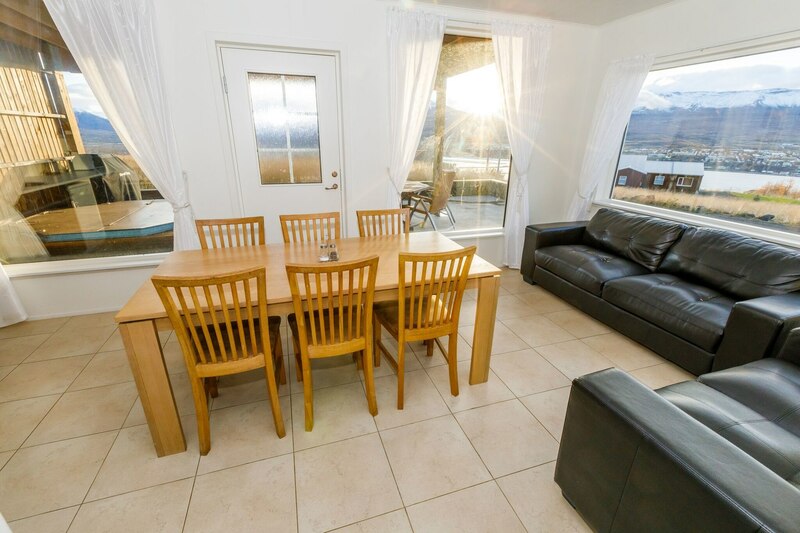 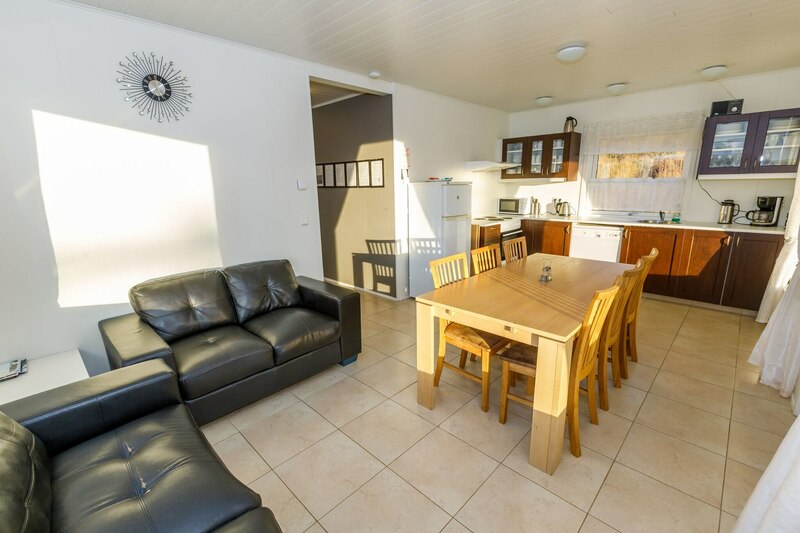 From the living room is a door to a large terrace with furniture, hot tub and barbecue. 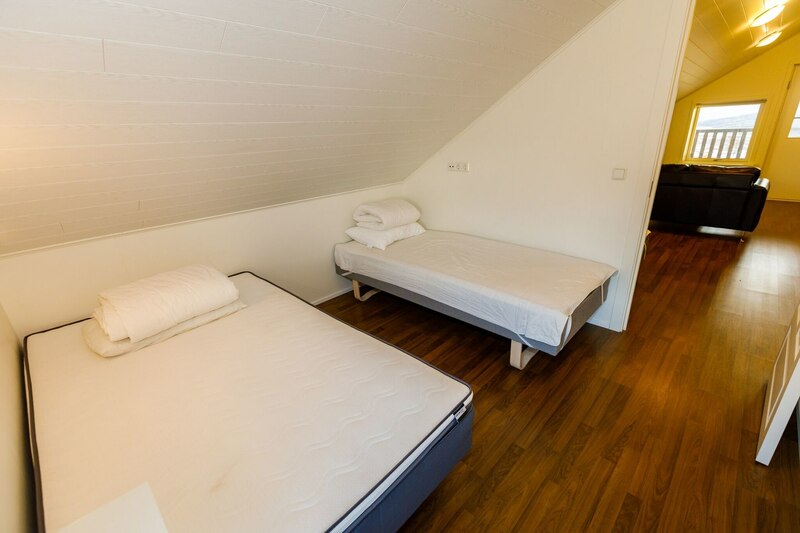 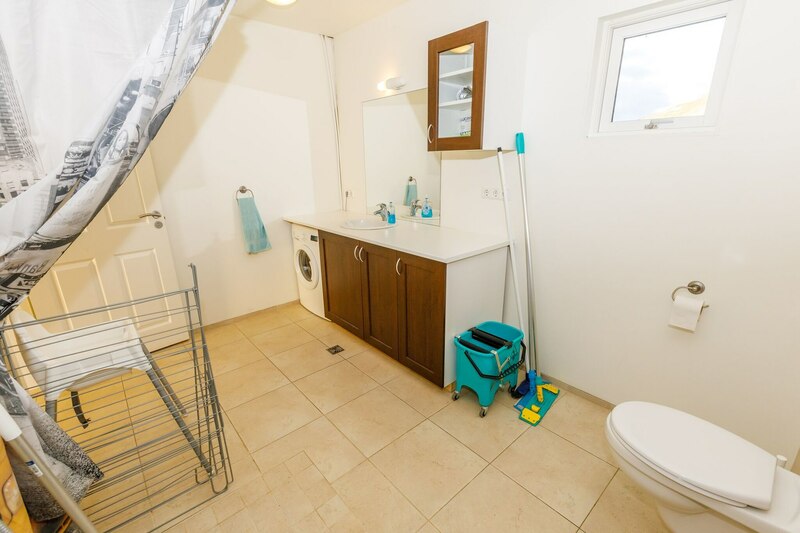 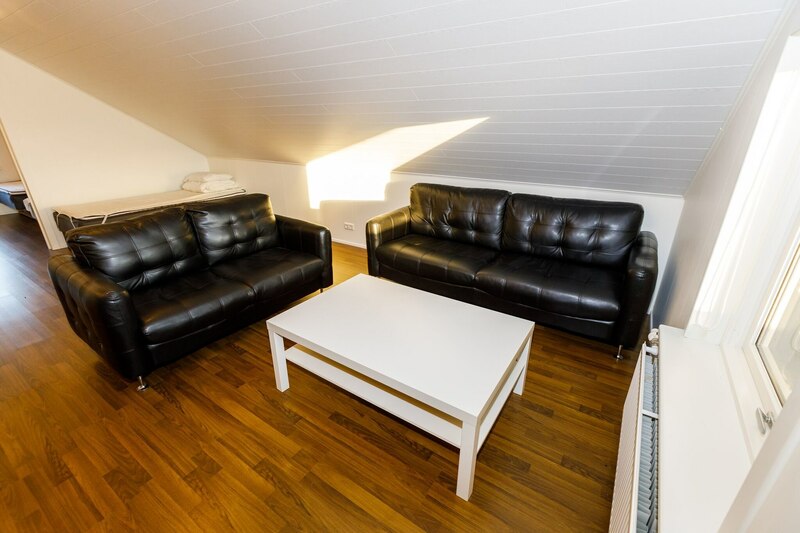 On the upper floor there are two bedrooms, one double bed and the other with two 90 cm wide beds. 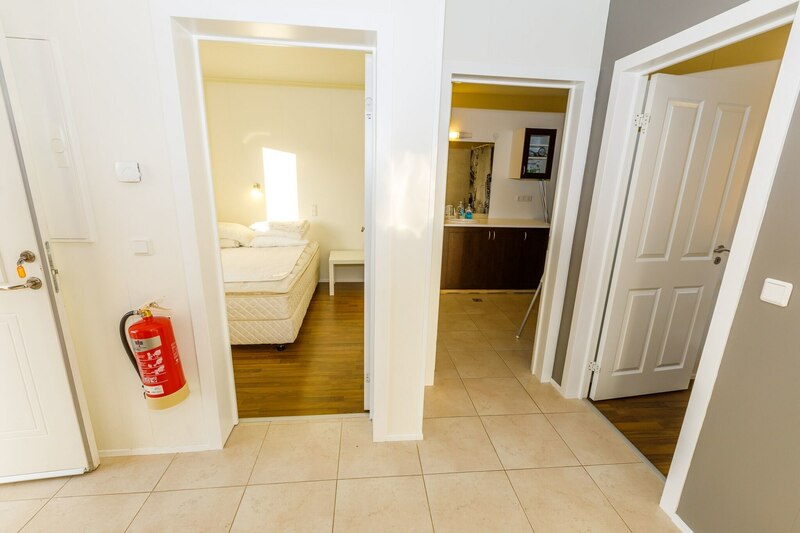 There is also an open space that is used as a TV room, where there are two 90 cm beds and mattresses, from which there is a large balcony. 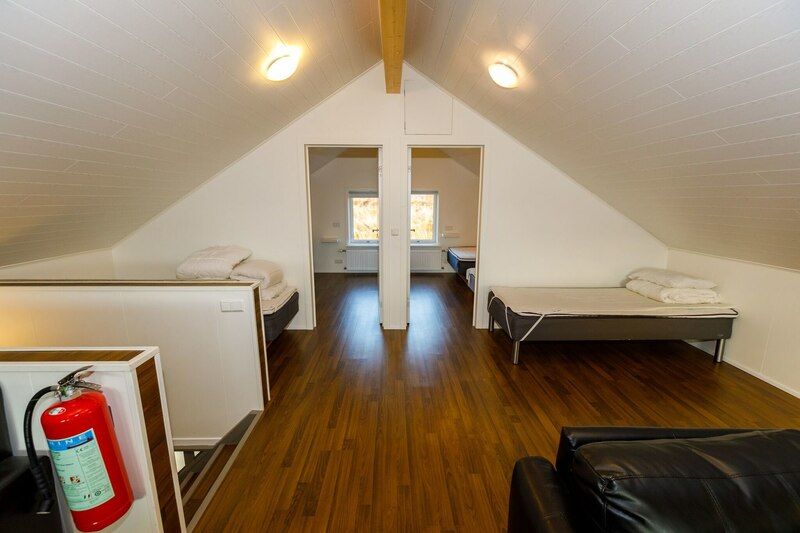 Accommodation options are for 8-12 people. 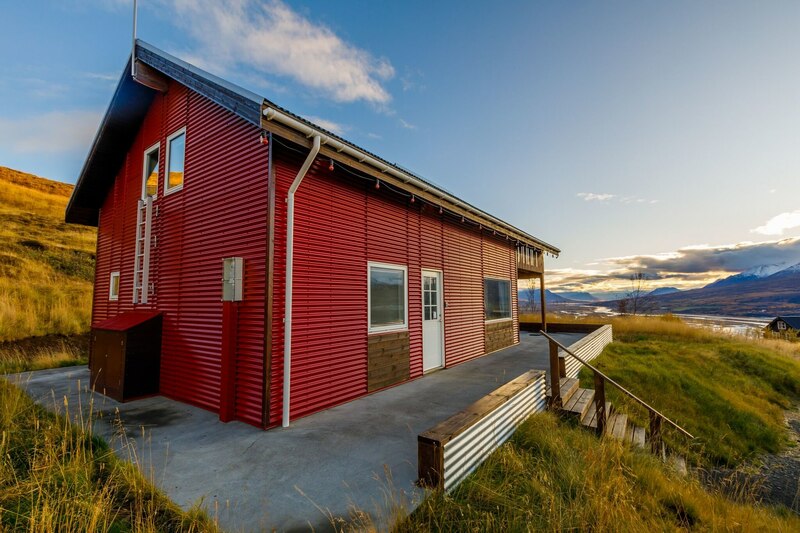 The house new from February 2014. 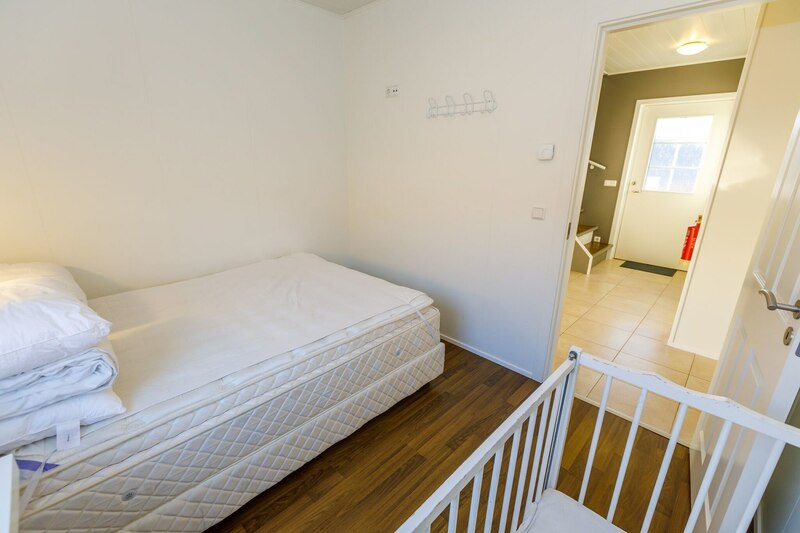 You can purchase a cleaning of 18,000 kr(140 euro). 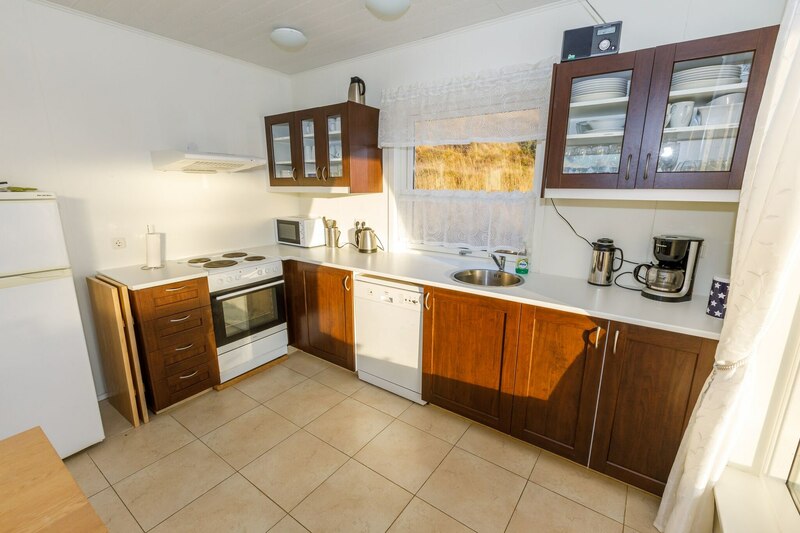 The house is rented with furniture and kitchen equipment. 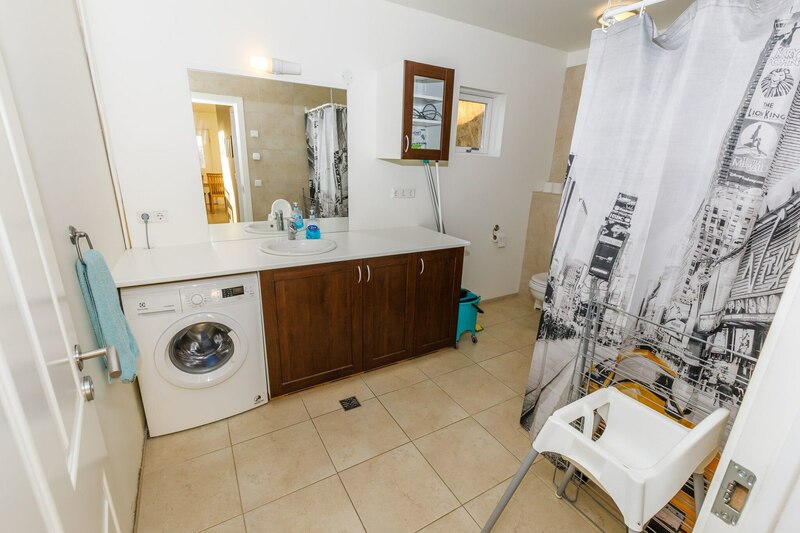 The tenant is responsible for all the equipment in the house during the rental period and undertakes to compensate for damage caused by his/her guests or those staying in the house during the rental period.The tenant is responsible for the houses and environments around the house.The tenant will make sure each item is in place when he leaves.Tenants must respect the rules that apply to arrival and departure time. 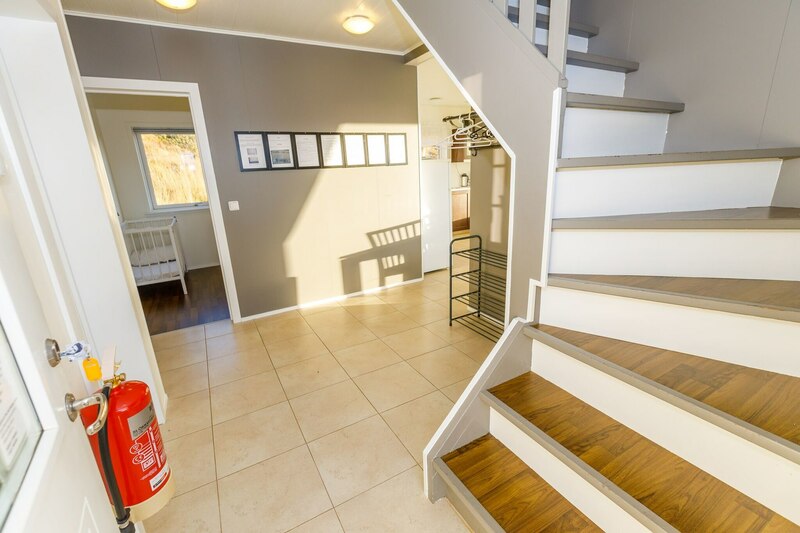 Arrival time at the house is at 17:00 at the start of the vacation stay and departure is at 12:00 on the day of departure. 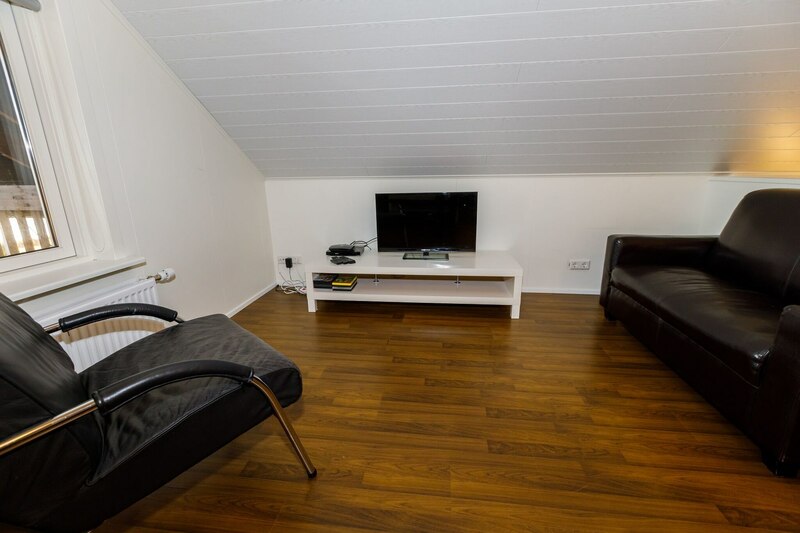 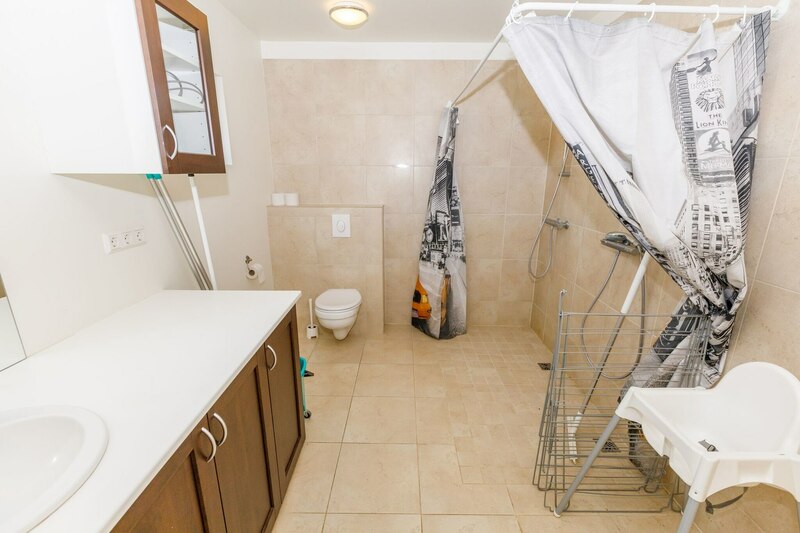 If we the owners are not comfortable with the clening at your departure, the tenant will be charged a cleaning fee. 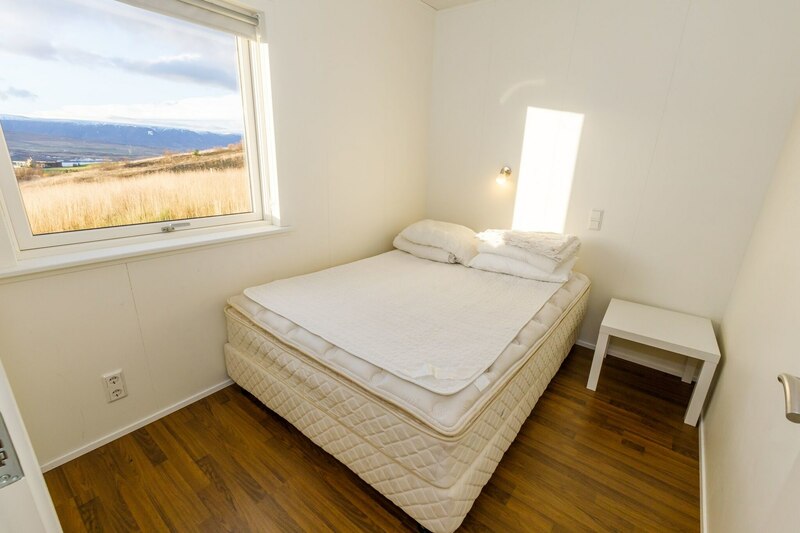 (18.000kr/140euor).